Okay, now that the holidays have settled down and triathlon season has officially started. Well, at least here since we are back to officially training with our training group! I'm so happy to be back with my triathlon family. So in honor of that, I wanted to get back to the interview series. To kick it back off, let's meet my friend Simon. Simon is a true competitor. He trains like no one I know and I'm not even sure that he took an "off-season." I can't wait to see what is ahead of him this season! Big things, I am sure of that. And, Simon has the most lovely family! His wife and children are just so nice and were kind enough to adopt me during race day at Magog last summer. Watching Simon's daughter Alison race in her very first triathlon that day was one of the highlights of the summer! I grew up on the South coast of England in a village called Goring-by-Sea. I was fortunate to live in a house that really was ‘by the sea’ and could walk to the beach in less than a minute. I had a very active youth, spent walking, biking, running etc and sailing, windsurfing, swimming in the sea. I was my school’s Sports Captain, I swam competitively and was County Champion (like a mini province) in all but breaststroke for several years, before changing to soccer and playing for professional youth teams and semi-pro mens teams before making the decision to concentrate on my education. I moved to Bath to study for my Masters Engineering degree and continued to play soccer, becoming coach and captain of one of the teams. I then relocated to Market Deeping, two hours north of London, where although I definitely wasn’t the healthiest of people, I did still spend some of my spare time playing soccer and then organising and coaching a men’s Sunday morning (read Beer League !) soccer team. I had two forays into triathlon in 2003 and 2005 courtesy of my brother; I entered a sprint triathlon in each year and had a great time, regardless of the fact that I finished almost last and in the first attempt put my cycling shorts on backwards in T1 and only noticed after the race ! My next triathlon wouldn’t be until 2013. Through my work, I was fortunate enough to see some great places around the world, including Ottawa. After my first trip here I decided to learn to skate and play hockey, and ended up starting up my own adult beginners team (which is still running to this day – very proud !). I became a qualified hockey coach and coached the team as well as assisting in coaching some junior teams. In 2006 my wife and I emigrated to Ottawa. Up until 2012 I mainly played hockey, but really wasn’t in good shape. Now having delightful growing babies, some of my own health scares, a death in the family and a couple of other incidents gave me a major reality check in 2012. I decided that I needed to adjust my lifestyle significantly, so made a change at the beginning of that August, started running and swimming again and totally changed my eating habits. By that Christmas I had lost 60lbs and in looking for inspiration to continue my progress towards a healthier existence, in 2013 I signed up for 3 triathlons, a 10k running race and the Canadian National Masters Swimming Championships. I actually raced in 5 sprint triathlons that year, and really caught the bug. I have even grown to enjoy the running quite a lot now, completing my first half marathon this September. I have continued to lose weight and am close to having lost 100lbs overall now - I am happy with where I am as it has allowed me to be a great role model to my children as well as facilitating my crazy exploits this year. In May 2014 I joined the local triathlon club and have found some great new friends with similar interests and outlook on life. It has really helped cement my enjoyment of triathlon and I‘m looking forward to training with them again and sharing new adventures in 2015! Simon's first triathlon in 2003! What advice would you give to a new triathlete or someone considering signing up for their first triathlon? Use whatever equipment you already have or can borrow – it will likely be plenty good enough. Concentrate most on enjoying your experience and doing what you can do, don’t worry about what anyone else around you is doing. Don’t feel intimidated by other competitors gear or (apparent) experience; almost everyone is going to be friendly, welcoming and willing to chat or offer advice if you ask – triathlon seems to have one of the most welcoming atmospheres of any sport I have been able to take part in. 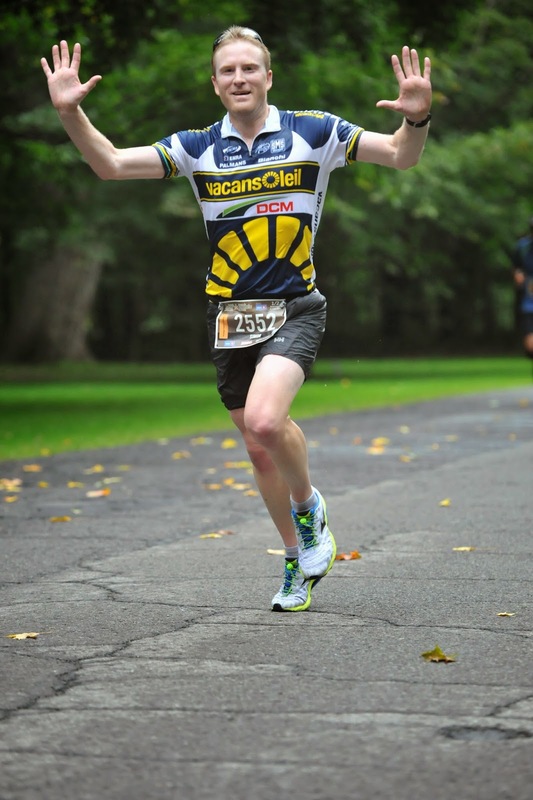 What has been your greatest / proudest moment as a triathlete? To a lesser degree, really seeing what I was able to do through my own drive and determination. Seeing the results of all the hard work I have put in; losing the weight, then getting overall wins in my 7th ever triathlon (sprint) and 2nd ever olympic distance. Much more importantly is seeing the inspiration I have been to both my children…it’s been a big thing for me so I’ve mentioned more below, but watching my daughter finish her first race and seeing her so happy and excited about the experience is something I will never forget. What has been the biggest challenge for you in the sport? The run leg and also entire race pacing to balance having nothing left, versus feeling like I still had something to give after crossing the line. Running was definitely my weakest link, but it is quickly catching my swim and bike now. As I have adjusted to different distances, my weight changing and my fitness levels and abilities have continued to improve, trying to find the right effort level to finish a race with nothing left, but making sure that point isn’t reached too early is an interesting challenge; I am so used to going at 110% in everything I do, that appropriate pacing is not necessarily something that has come easy to me. What has been the most rewarding aspect of the sport? Seeing that I am being an inspiration to my children. Without any pushing, they both started playing ‘triathlon’ around the house and have loops for each leg. They created a transition zone where they changed between baseball caps, toques and shoes to represent the swim, bike and run. 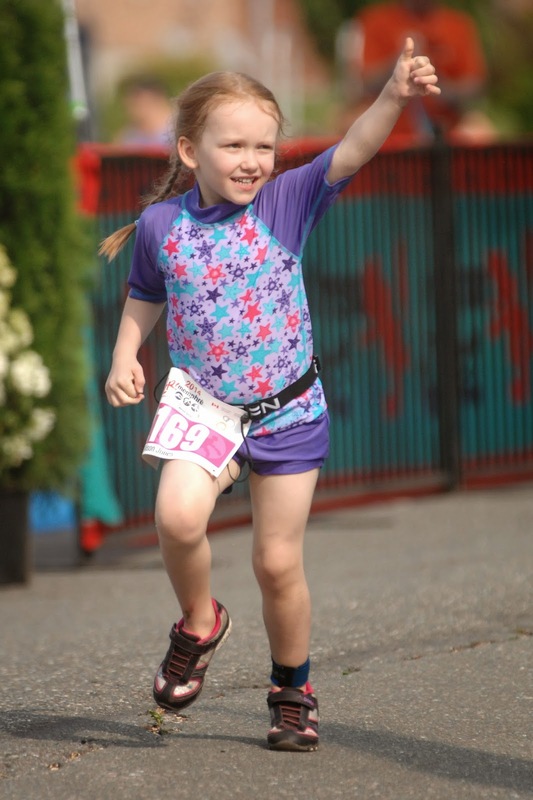 My 5 year old daughter soon kept asking when she could do her own race, so we signed her up for her first this summer. Seeing the photos capturing her huge smiles (when we wouldn’t have even been in sight) was enough to melt your heart and bring a tear of joy to your eye. I am so fortunate to have an incredible family who have supported me through everything I have tried to do. Being able to share the experiences with them has been amazing. 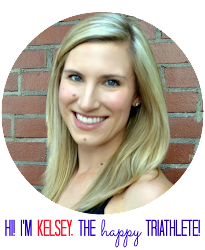 How does life as a triathlete translate to other areas of your life? It has probably helped quite well with time management, adaptability and perspective ! Time management and being able to juggle lots of things at the same time, whilst adapting to many last minute changes and being able to just go with whatever happens ! In what has been a challenging couple of years for our family, I have been able to successfully find time to train as well as be there for them through some traumatic times. There have been many occasions where other events or issues have come up that needed to take priority over training and my own aspirations. Having the ability to adapt to those last minute changes and make new plans, whilst maintaining perspective and not losing sight of what really matters are good things to use in every aspect of life. What is your dream race? I wouldn’t necessarily say I have a single dream race right now. Nationals in Magog and Masters Swimming World Championships in Montreal were incredible experiences this year. In 2015, the ITU Worlds in Chicago and Ironman 70.3 in Tremblant are something I am really looking forward to. What is your favorite pre-race meal? Any other pre-race rituals? Pre-race meal-wise I am generally very consistent; pasta and meat sauce the night before, then 3 hours before the race I’ll eat oatmeal and honey or golden-syrup (a British sugar syrup – it’s super sweet, but it’s something I always had with oatmeal from when I was really young…it’s certainly loaded with energy !!). From a non-race perspective; if I had to pick one, it would be swimming – especially open water in a picturesque lake with the sun rising over a mountain or hill. I do love biking as well, so a ride in the mountains with spectacular views is difficult to beat. I have really grown to enjoy running now too and there are certain runs that can be either spectacular or invigorating; an early evening summer run with the sun setting and the air cooling, a run after some rain during a dry spell in the summer and the smell of freshness in the air, a trail run after the first snow of the year or a fresh snowfall, or an evening run in the lead up to Christmas, with the smell of wood fires burning and looking at all the pretty decorations around the houses…..wow, I really have turned to the dark side !! From a race perspective I think the swim would currently win as well right now; the rush of starting the race and getting through the initial mayhem and settling into a rhythm, with just the sound of the water and the thoughts in your head! It would be amusing to track what random thoughts were going through my head during different parts of the swim or whether it was just 1,2,3-breath,4,5,6-sight, 1,2…etc. It would probably give me an idea of how close to the limits I was! Motivation gets you started, habit keeps you going. Awesome, Kelsey. It is wonderful that you have such amazing friend and fellow triathletes to inspire and encourage you! Love your series of interviews! Thanks for the kind words Kelsey. It was great to be back training with everyone this week :-) I have fantastic teammates and can't wait to see what fun this year brings ! My pleasure! It was great to read through your answers. Looking forward to a fun season with the HPS group!